It can be very difficult to get motivated to go running on a dark winters evening. 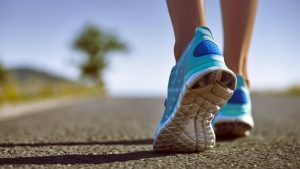 Joining a running group is a great way to stayed motivated. There is no backing out if there is a group waiting for you. Enter a winter 5km series or regularly doing a Parkrun can help you stay focused on running. Set a goal and work towards it. It is vital to warm up before a run in the winter to avoid picking up an injury. A 10min walk is ideal as it gets the muscles warm and you don’t work up a sweat. Irish winter days are short and the evenings are dark so the chances of running in the dark at some point are high. Wear bright clothing, reflective vest and head torch. Avoid running at dawn and dusk as this is the most difficult time for drivers to see you. To avoid overheating or being too cold while running in the winter, make sure to layer up. If you get too hot you can take off a layer. Always wear tech fabrics and never wear cotton as this holds the sweat and will make you cold. Also wear a hat and gloves to keep your extremities warm. Invest in a pair of new runners for the winter. Trail runners are a good idea as they are more waterproof and often have better grip to deal with slippery surfaces. In Ireland it is possible to get 4 seasons in one day. Be prepared for all conditions. If it’s a windy day pick a routine where you start with the wind in your face and finish with the wind to your back. This prevents you getting too cold when you are tired and you are nearing the end of your run. If it’s raining pick a route that may provide some shelter. Wear a light breathable rain jacket and a hat. On a dry cold winters day layer up and make the most of the dry day. A common mistake runners make while running in the winter is not hydrating. You lose almost as much fluid in the winter as you do in the summer when running. It is important to rehydrate before, during and after a run especially on longer distances. It may seem obvious but it is important to change your clothes straight after a run to avoid getting cold. Also dry any wet gear like runners and jackets to ensure there are dry for next run and stay in good condition for as long as possible. 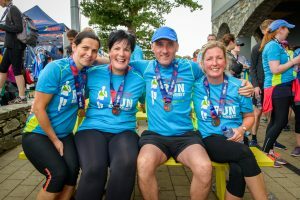 Run Killarney 10k and half-marathon takes place on Saturday 20th July 2019 and is on sale now.